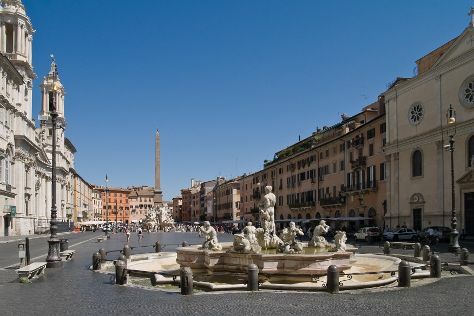 On the 1st (Wed), wander the streets of Trastevere, then appreciate the extensive heritage of Piazza Navona, and then explore the ancient world of Palatine Hill. On the 2nd (Thu), you'll have a packed day of sightseeing: contemplate the long history of Roman Forum and then tee off at Golf Club Mare di Roma. For photos, other places to visit, reviews, and tourist information, you can read our Rome vacation planner. If you are flying in from Belgium, the closest major airports are Leonardo da Vinci–Fiumicino Airport and Ciampino–G. B. Pastine International Airport. In March, daytime highs in Rome are 19°C, while nighttime lows are 7°C. Finish your sightseeing early on the 2nd (Thu) to allow enough time to drive back home.